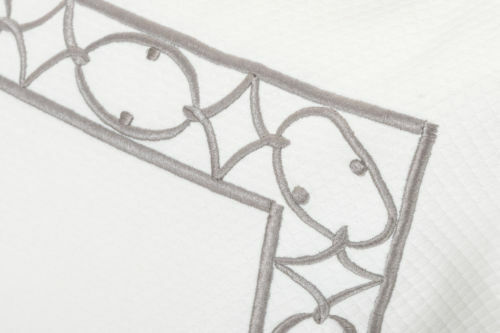 Each one of our designs starts out with a sketch including the finest of details and from there the sketch comes to life in color and scale on our finished linens. Our Vesta border shown here is an intricate design that can be done on everything from sheeting, to pillows and even table linens. See more of our border collection here.